A Welsh rock trio with a predilection for delivering stadium-sized riffs with shoegazey vistas and dreamy post-punk riffage, the Joy Formidable emerged in 2011 with the fiery Big Roar, which effectively paired '90s alt-rock sonic might with indie pop smarts. 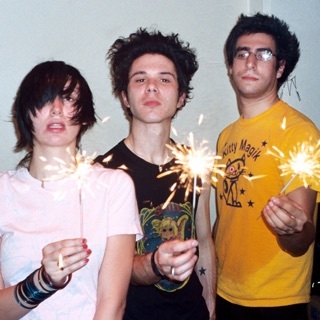 Taking a cue from bands like Yeah Yeah Yeahs, My Bloody Valentine, and Arcade Fire, the trio continued to push their already expansive sound further on subsequent offerings like Wolf's Law (2013) and AAARTH (2018), while maintaining the hook-driven indie rock foundation laid down on their chart-topping debut. 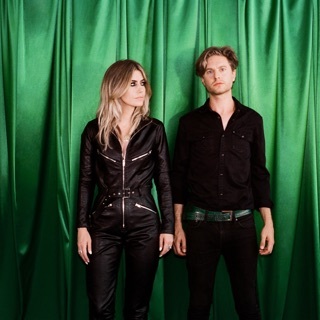 After spending several years with the post-punk outfit Sidecar Kisses, vocalist/guitarist Ritzy Bryan and bassist Rhydian Dafydd left the lineup and launched the Joy Formidable, drawing heavily from shoegaze and noisy alt-rock to create their new group's sound. Formed in North Wales in 2007, the band later resettled in London, where original drummer Justin Stahley was replaced by Matt Thomas. The Joy Formidable began building a buzz in 2008, making appearances at several British festivals and earning high marks from publications like The Guardian, which recommended the band's "darkly joyous soft-loud racket." After releasing several singles, the group issued the mini-album A Balloon Called Moaning in early 2009. Tours with the Editors and Passion Pit followed, and the Joy Formidable issued a live album, First You Have to Get Mad, before signing with Black Bell Records, an independent label run by Passion Pit member Ayad Al Adhamy. With Black Bell's support, A Balloon Called Moaning was released stateside in 2010. The Joy Formidable toured throughout the year and kicked off 2011 with the international release of The Big Roar, their well-received full-length studio debut. The band spent the following year writing its second record while on the road supporting Muse. The resulting Wolf's Law, which was recorded in the small town of Casco, Maine, arrived in early 2013 and peaked at the number 51 slot on the Billboard 200 in the U.S., and at number 41 on the U.K. album charts.